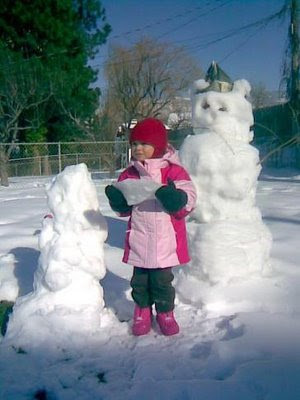 The first winner of Today's Snowman snowman contest of 2009 is Lisa Love! 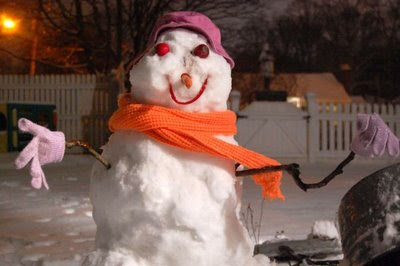 Made by a girl from Long Island named Sweets, this is her first professional victory in snowman-making competition. Congratulations! Runner-up was the beautiful The Perry Family Snowmen from Somyr Perry of San Diego. Thank you to everyone who entered. We will start the next contest by tonight and you'll want to see this next group of amazing snowmen. The first place prize will a signed copy of The History of the Snowman (and I draw a personalized cartoon in the book).